The world of apps seems to change every day, but after revisiting this post from 4 years ago, it seems very little has changed when it comes to the best apps for real estating. We’ve added 3 new ones to the mix, lamented the loss of Homebuyers, and had way too much fun playing with a few we hadn’t opened in a while (looking at you, Paint Tester). Home repairs in, well, a jiffy. Find services for appliance repair, flooring install, locksmith, even a home inspector. We have a promo code for money off the first job you book so drop us a note and we will send it over. Jiffy for iOS and for Android. You did your floor plans, you played with wall colours but gosh darn it your closing isn’t coming fast enough and you still have an itch to scratch when it comes to planning out your new home-sweet-home. Relief is in sight with this app where you can build out your new digs in 3D, rearrange the furniture a zillion times and hey! you didn’t think an addition was needed off the kitchen but doesn’t it look amazing with it? There’s a paid and a freemium version. Home Design 3D for iOS and for Android. If you aren’t in the car with me and rocking out to Queen, then an app to guide you to the next house is key. Waze is a favourite since it adjusts your route in real time and in my experience knows before the other mapping apps when there’s a road closure in the traffic mix. 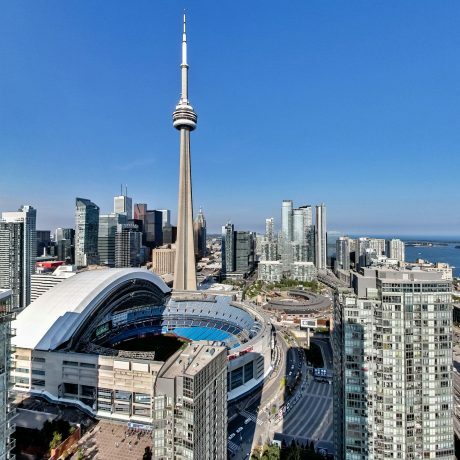 We’ve rounded up the absolute best apps for Toronto real estate buyers, so you can be as equipped as we are! How fun is that? For iOS (Apple) and for Android users. Warning: you cannot sign the Agreement of Purchase and Sale electronically in Ontario. It’s coming but it’s not here yet. Fortunately, you can sign just about everything else on a screen and you avoid painful papercuts! Pro tip (because, that’s right, we’re pros) go to Dollarama and pick up their $2 stylus. Or ask us for one of ours. We lose/give away so many we always have a stash. Electronically sign your docs with Hello Sign for iOS and for Android. Wanna be even more like us? My favourite app hands down is PDF Expert (iOS). It’s not free, but it’s wonderful. We keep PDFs of all the places we’ve seen with clients and all the copies of signed documents in the “cloud”. We access our “cloud” (which I like to think is fluffy with rainbows and unicorns) with Dropbox but also are big Google Drive users. If you want in on our party in the clouds with all the stuff pertaining to your search, let us know and we’ll send you an invite. Dropbox for iOS and for Android. Google Drive for iOS and for Android. There are a lot of other apps that do what Realtor.ca does. I haven’t found one that does it better, though. The Properties Near Me feature is excellent and I use it all the time when I’m out and about. Sure, as agents we have our own fancy MLS app I could log into, but this is faster and gives me the basics I need. This app is due for a new version but it still works well enough. 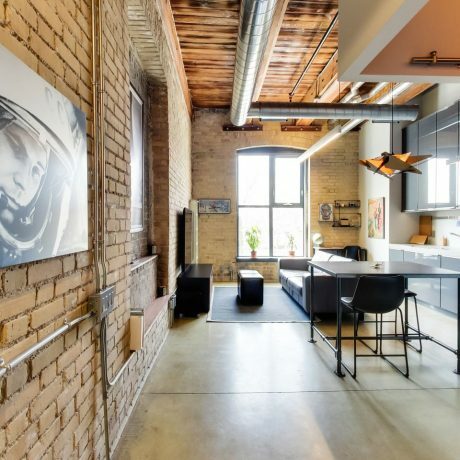 Realtor.ca will show you the resale homes but if you want the scoop on what’s going to fill the latest manmade crater in our city, this is the app for you. Get a few floor plans, prices and deets on new development and if it’s intriguing you can click the little arrow-jumping-out-of-a-box symbol and email it to a friend. Or us. We can be your friend. A friend who can get you all the details on that new build. Want to know if junior will be able to walk to school and how the local school stacks up? If junior is going to public school, you can download School Locator (iOS) which includes the Fraser Institute Ranking so you can get a snapshot of how the local tots are doing. If a private school is the route for you, Our Kids for iOS and for Android will show you schools you didn’t even know existed. Maybe the great house you found has parking, but that doesn’t mean you want to pick up your friends who don’t drive when they come over for dinner. Use a TTC app to find out where the nearest stop is. And when it’s time for them to go, you can tell them when next streetcar will be arriving and usher them smartly out the door. Rocket Man for iOS and for Android does all this for you and gets a great song stuck in your head to boot. I go on walks all over the city with a man whose name I don’t know. I affectionately call him “My Little Orange” man and he’s great – my feet don’t get tired and the weather is always nice. Find him on your Google Maps app. If we send you a listing on a street you don’t know, you can use him to explore; just don’t let on that he’s been stepping out on me. Google Maps for iOS and for Android. Do you like to move in mentally before you do physically? Seem like the most organized new kid on the block by using an app to arrange where your furniture and that strange plant from your mother will go before moving day. I used RoomScan Pro (iOS) to map out our whole office just now. For research, not procrastination, of course... Or try Floor Plan Creator (Android). Extra Fun Bonus app: Sky View. I know, I know. We really don’t have that many visible stars in Toronto. Fortunately, this app also tracks the star closest to us, the sun. You can stand in a house on a gloomy day and find the trajectory of the sun to know if it will shine through that window in the kitchen. Makes dark houses appear that much brighter. And it’s fun when you leave the city and can actually see something more than the big dipper. 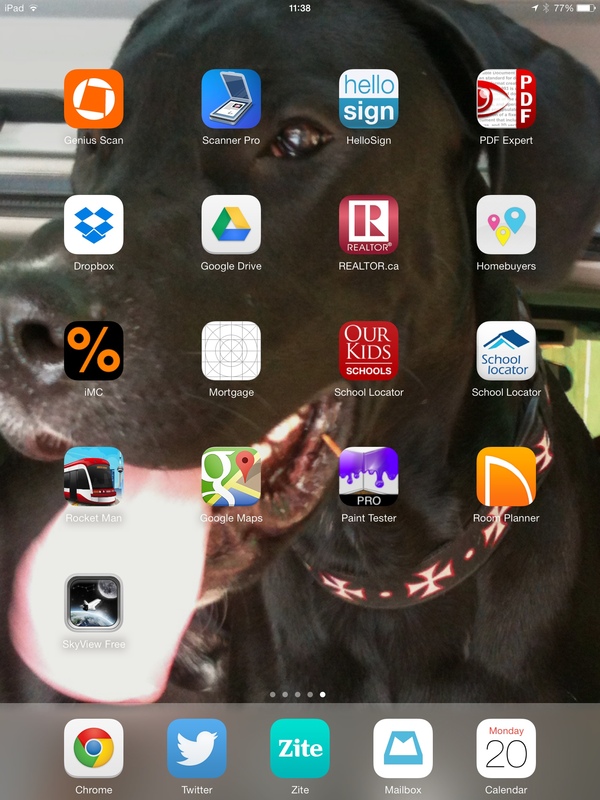 My favourite real estate apps and my favourite big boy Atlas!